How can I archive or delete old events? 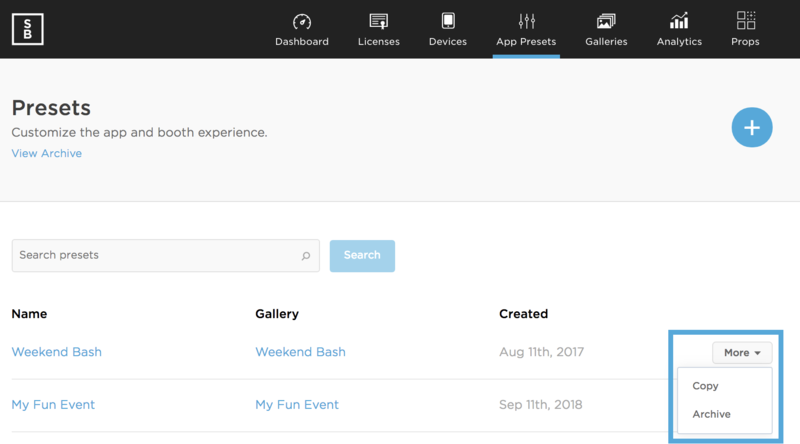 As you run events on your Simple Booth account, your list of presets and galleries will gradually grow longer and longer. At some point you may want to clean things up, which you can do by archiving old presets and galleries! Start by visiting your app preset or gallery settings, depending on what you want to archive. 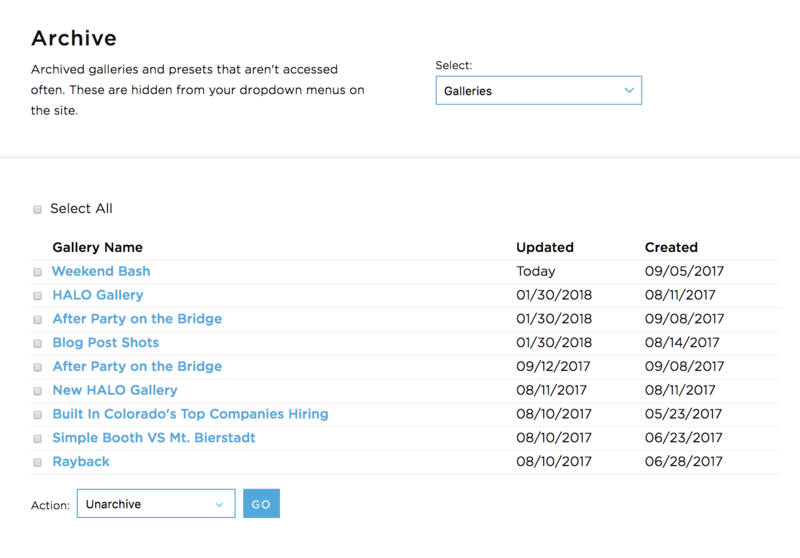 Find the item you want to archive from your list of events. Click the "more" dropdown button, and select the archive option. Once you have some archived items, a "view archive" button will become available toward the top of the preset and gallery pages. Simple Booth does not charge for storage, so there should be no need to delete old events. Still, deleting older settings is possible via the archive. Use the dropdown menu at the bottom of the page to select, "delete." Click "go" and your settings will be deleted. Need to revisit an old gallery or copy settings from an older event? You can move these items from your archive back to your dashboard. Use the dropdown menu at the bottom of the page to select, "unarchive." Click "go" and your settings will be available again from your app preset or gallery pages.